Boise County is a rural mountain county in the U.S. state of Idaho. As of the 2010 census, the population was 7,028. The county seat is Idaho City, and Horseshoe Bend is its largest city. 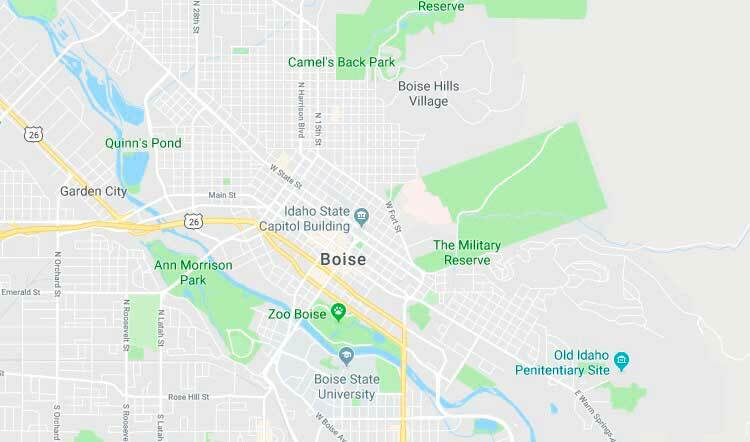 Boise County is part of the Boise, ID Metropolitan Statistical Area. The Bogus Basin ski area is in the southwestern part of the county. The county's eastern area contains the central section of the Sawtooth Wilderness, the western part of the Sawtooth National Recreation Area. In 2010, the center of Idaho's population was in Boise County. As of the 2010 United States Census, there were 7,028 people, 2,974 households, and 2,051 families residing in the county. The population density was 3.7 inhabitants per square mile (1.4/km²). There were 5,292 housing units at an average density of 2.8 per square mile (1.1/km²). The racial makeup of the county was 95.4% white, 0.8% American Indian, 0.4% Asian, 0.2% black or African American, 0.1% Pacific islander, 0.8% from other races, and 2.3% from two or more races. Those of Hispanic or Latino origin made up 3.5% of the population. In terms of ancestry, 26.0% were German, 17.4% were English, 10.9% were Irish, 8.6% were American, and 6.0% were Scottish.